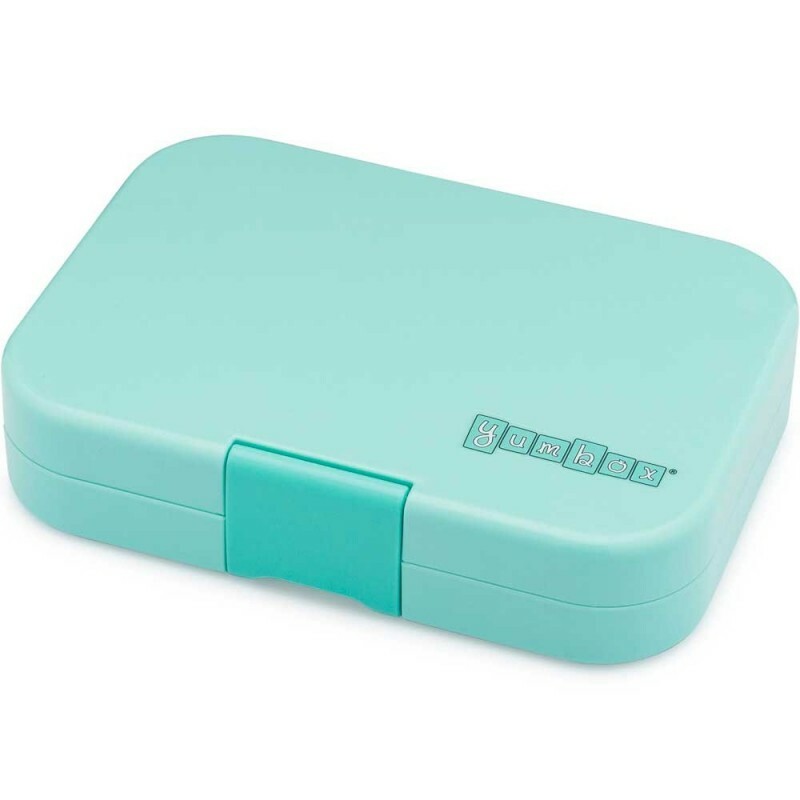 Aqua Yumbox Panino is a bento lunch box with 4 compartments and a single lid. 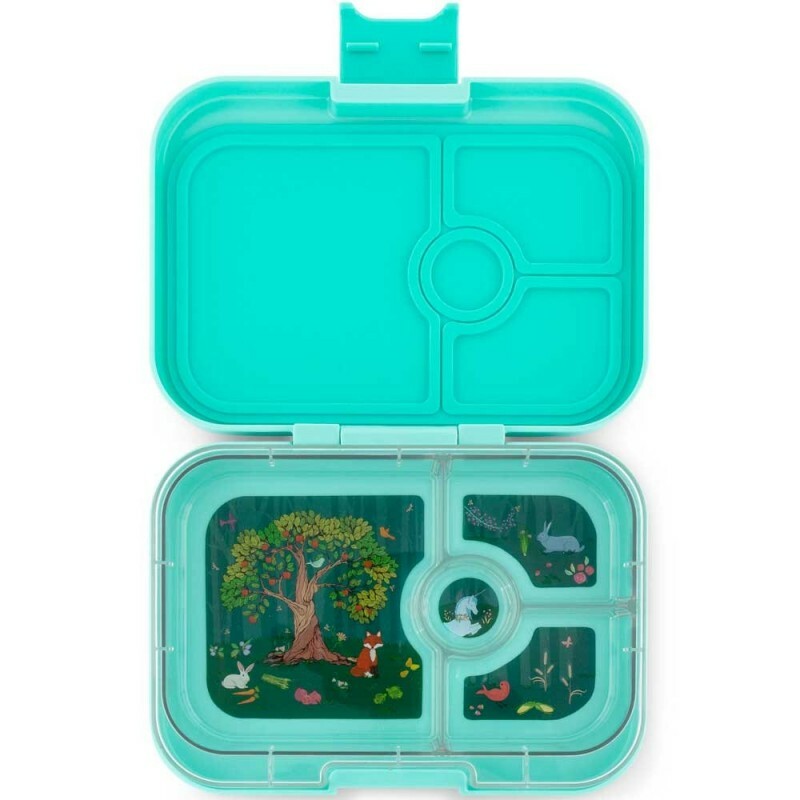 For adults and children, Yumbox Panino has 3 cup volume in total: one 2 cup sandwich/salad friendly section, two 1/2 cup servings, and a dip/treat well. Pack wet foods like yogurt and dips (not water). Mystic Aqua colour. Includes aqua box and tray insert with enchanted forest themed illustrations. 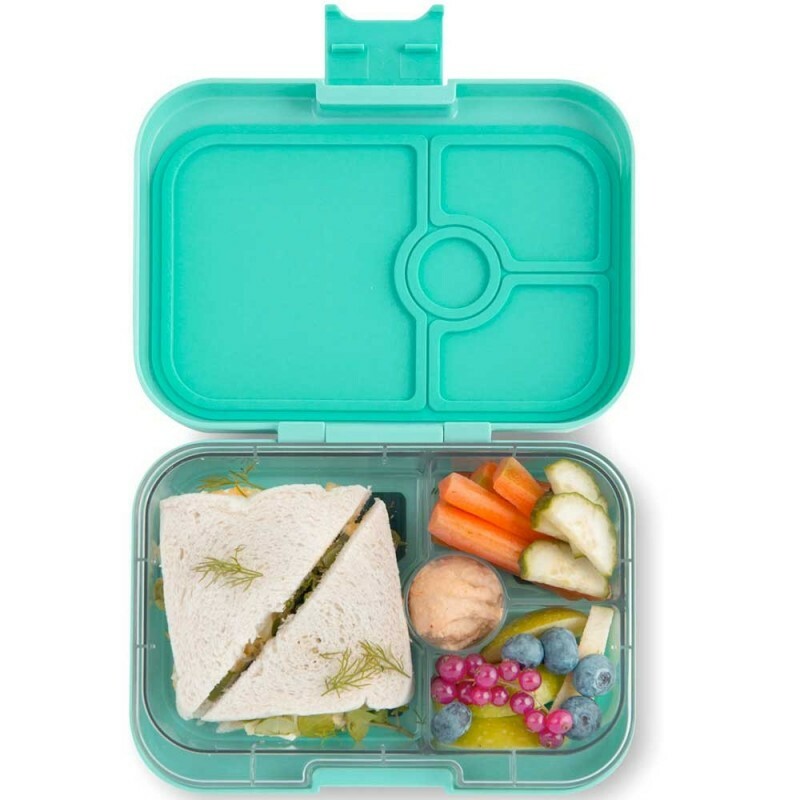 Four food compartments help to prepare a healthy lunch with a variety of foods.